Margaret M. (Lamoureaux) Doak, 82, a resident of Rowley since 1967, passed away peacefully with her family by her side on Tuesday, September 18, 2018 at Seaview Retreat. She was born on June 27, 1936 in Lynn, MA, daughter of the late James and Elizabeth (Thompson) Lamoureaux. Margaret worked for General Electric for many years and as a certified nursing assistant at Lynn Hospital. While living in California she was employed as a Licensed Practical Nurse. She also worked at Disney World as a hostess and security guard. Margaret was an avid country and western fan and had her own band, Margie Dee and the Teddy Bears. They played on the Rowley Common, local clubs, weddings and other social events. She appeared on Community Auditions many years ago and won. She also has CD’s of her recorded music. She enjoyed crafts and especially making things with wood. She will be remembered for her sense of humor and being a great entertainer. Above all she loved spending time with her family, especially her grandchildren. She will be sorely missed. 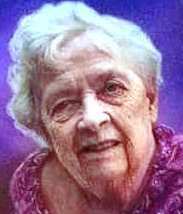 She is survived by her four children, Debra Roberge and her husband, Michael Castonguay of Salisbury, Richard Doak of Amesbury, Larry Doak and his wife, Kelley Baker of Newburyport and Kathryn Duggan and her fiancé, Richard Poleschi both of Peabody; seven grandchildren, Robert, Crystal, Kristina , Jessica, Jacob, Lisa and Kat. She also leaves her best friend, Patricia Heywood and her three daughters, Lee Ann Cahoon, Tinker Heywood and Lori Hand all of whom were a big part of her family. She was predeceased by her son, David Doak and her former husband, Albert Doak; two sisters, Mildred Brown and Marie Keating and a son-in-law, Frank Roberge. Her Funeral Service will be held on Saturday, September 22, 2018 at 12:00 noon at the F.S. Roberts & Son Funeral Home, 14 Independent Street, Rowley. Calling hours will be held prior to the service beginning at 10:00 a.m. In lieu of flowers, donations may be made to Margaret’s family to offset funeral expenses. Please mail to Debra Roberge, 13 Pleasant Street, Salisbury, MA 01952.